Download Dan Geherin's book about Michigan drunk driving here! Driver's license restoration is one of the most important and specialized areas of law. Look in the telephone book or on the Internet; there are only a handful of lawyers who even attempt to handle this practice area. In contrast, our attorneys specialize in license restoration cases, and have handled hundreds of them since 1999. We have a long and proven track record of restoring licenses for Michigan drivers and out-of-state applicants alike. Unlike many attorneys who boast of meaningless and unsupported "success rates," our results are verifiable and reflect just how many we handle and how successful we are at restoring Michigan driver's licenses. The Michigan Department of State is a governmental agency with significant red tape. The Driver's Assessment and Appeal Division (DAAD) is equally burdensome and confusing. Let our staff of attorneys and paralegals navigate the path of success for you. We deal with DAAD on a daily basis, and we understand the complex rules and regulations involved with getting back your license. In short, we don't "dabble" in license appeals, we specialize in them. Many people wonder whether they need an attorney for a license restoration appeal. The better question is whether they need their driver's license, and if so, how badly? After all, people who lose an appeal on their first attempt are typically precluded from having another hearing for one year. Before you take on the DAAD by yourself, call our firm for a free consultation. Our representation and guidance may be the difference between driving again and waiting another year. According to published DAAD statistics, nearly 50 percent of people seeking restoration of their revoked licenses are denied. While the "minimum" license restoration requirements are available on the DAAD website, unrepresented people often submit insufficient documentation, say or do the wrong thing at a substance abuse evaluation or fail to adequately prepare for the actual restoration hearing. Before you set off on the restoration process alone, call the law firm of Geherin Law Group, PLLC, and let us give you the keys to get back in the driver's seat. We deal with the Driver's Assessment and Appeal Division on a daily basis, and we understand the complex rules and regulations involved in license law. We will prepare you every step of the way, beyond the "minimum" requirements. We know how to communicate with hearing officers and how best to prepare your testimony. 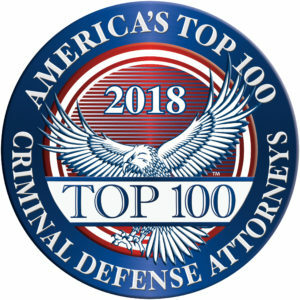 In addition, our attorneys have an established network of professionals that includes substance abuse therapists, treatment providers and ignition interlock company representatives to aid your case. Whether you live in Michigan or another state; whether you have lost your license due to drunk driving or due to the accumulation of too many points; whether you have tried unsuccessfully to restore your license in the past or are new to the process, we can help. No matter how complex your issue, we strive to handle your matter with the utmost care and efficiency. Contact us today for a free consultation at (734) 263-2780. Our firm offers evening and weekend hours and accepts credit cards. Payment plans are available.